Proof that blogging influences one’s perspective on travel, can be found in the increased number of ‘people’ pictures in my Japan album. Never have I been so aware of the people around me. And the gentle, gracious, courteous citizens of Japan were a joy to chronicle, despite the language barrier. These loving couples seemed to belie the stereotypes of gender roles and inequality in Japan, that our guide insisted was still prevalent. And no, this couple was not posing for me! 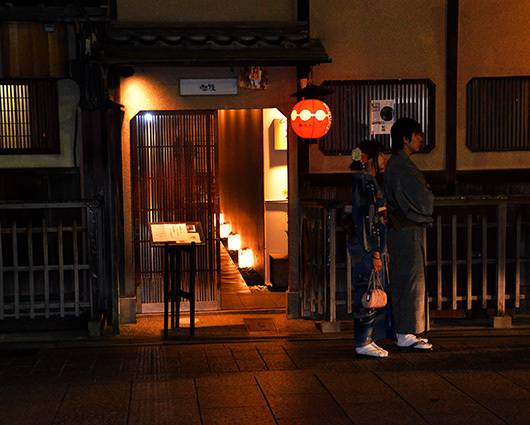 They, like the tourist couple below, were in search of a place to eat in Gion (old town, Kyoto). Shall save the rest for another day 🙂 Meanwhile, you can meet more couples over at ‘Where’s my Back Pack?‘. I love the first and second photos. I think the gender roles are slowly changing in Japan. Thank you Judy. We did notice how much more involved the younger men were with their kids and families. More than any other photos I’ve seen, I think these people photos make Japan look like the most beautiful country in the world. I’ve long had a longing to see the architecture and the sights and the scenery, but this is a whole other angle I hadn’t considered. I know I’d fall in love with Japan. I need to go, damn it! I used to be self conscious about clicking people before I started this blog. This is my first trip, post blog and i am not sure whether it is my enhanced awareness or just the abundant opportunities for people watching in this wonderful country. I even managed to witness an entire wedding!! Love the couple’s shots…a blend of East meets West. Your description of “gentle, gracious, courteous citizens” is the kindest of compliments that any country would be pleased to have. The language barrier must be considerable, Madhu? Though I know you were on a tour, so had the benefit of a translator. 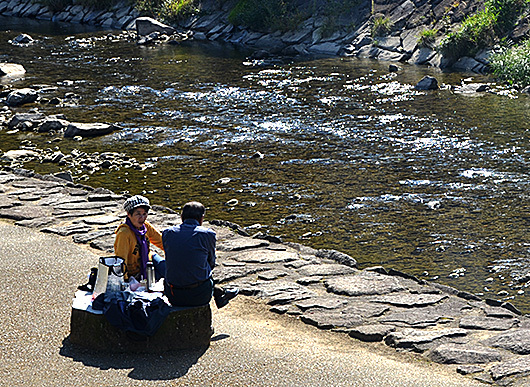 I like the picnic next to those rippling waters. Beautiful photos, they show the bond between these people so well. I’m planning to travel to Japan next year, and reading this increases my anticipation. 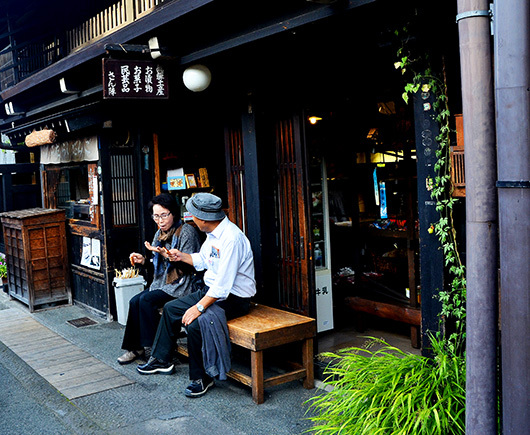 Love the photo of the couple sitting down to eat. You’ve captured a moment of intimacy. Though it was a decade ago, I still remember their graciousness and courtesy. Remarkably gracious aren’t they? And the girls were so beautiful! Very nice. And nice to see another post from you, Madhu. The couple photos are great and I love the street style difference to what I’m used to! Thank you Gilly. The old towns were quite different from other oriental cities I have visited as well. I think people just add something to photos, especially as examples of differences in cultures. Your couples are great! I am increasingly aware of that Carol, although still uncomfortable, which leads to hurried and not very crisp shots 🙂 Thank you for dropping by. Blogging is changing, or at least broadening, by focus as well – I’m finding I want to go into the city just so I can snap some shots of pavement and brick and the people going about their business. What beautiful snatches of observation, Madhu! I love these tiny sketches of a moment. 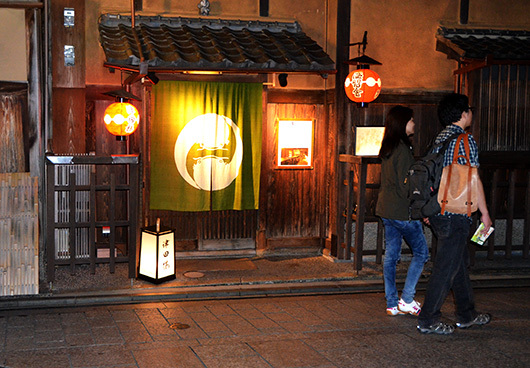 I’d love to get to Japan one day…must be such an interesting destination! Like you, I’m attracted to people who are able to slow down and live in the moment no matter where they are or what they’re doing. I’m looking forward to following the rest of your journey through Japan. “Gentle, gracious, courteous” – a perfect description! I’m quite familiar with those gender roles – I saw it daily. You are part Japanese aren’t you Fergie? Is it really that bad? Somehow the younger men seemed so chilled out and nurturing! I love first and second photos especially. They show so nicely life and love! 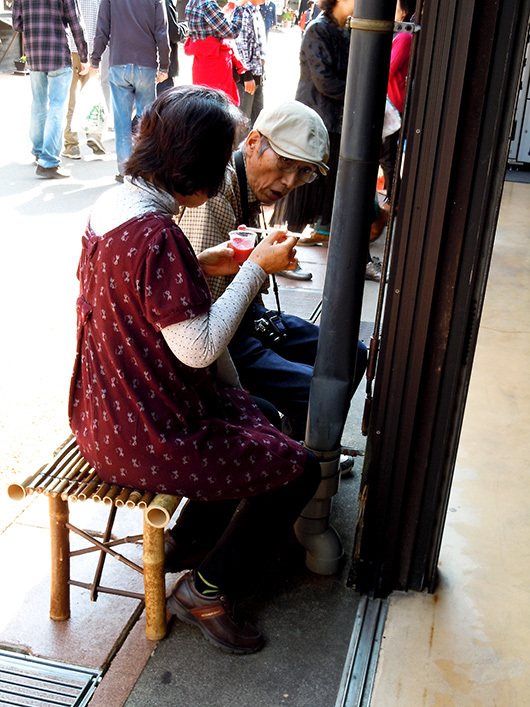 I love your photos of the elderly couple. Of course, the younger ones’ photos are lovely too, but there is something about love that has been tested by time. Hi Madhu, this is really fascinating to me. I love beautiful landscapes, but studies of people breathe life into a photo and gives information that you can’t find anywhere else. Wonderful post! Welcome back Madhu and thank you for your glorious introduction to Japan, the place and the people! Also on my bucket list is the Asian countries!!! LOVE the post! Great observation, Madhu. And the simple idea, it’s so endearing. So much romanticism, humanity and positive emotions to your pictures!